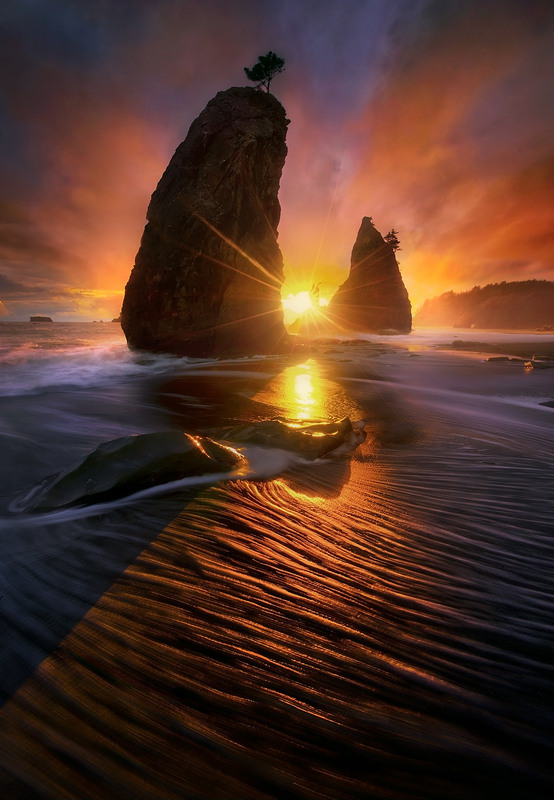 An explosion of dramatic lighting seen from the Olympic Coast at sunset. Foamy seawater rushes by through the long exposure in the foreground. Photo © copyright by Marc Adamus.